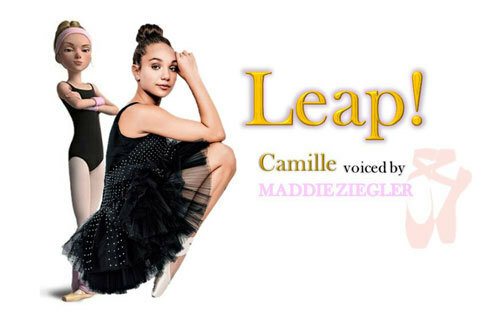 EXCLUSIVE INTERVIEW: Maddie Ziegler Takes a Leap! 14-year-old dancer/actress Maddie Ziegler who first made her mark on the popular reality show “Dance Moms” at a young age, has gone on to dance in several music videos for Sia and appeared at age 12 dancing on the Grammy Award telecast. 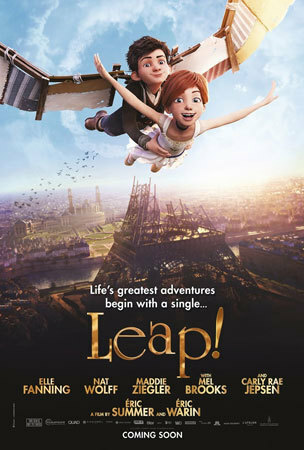 Maddie co-starred in her first feature film The Book of Henry and now voices Camille, a haughty, driven, perfectionist young dancer whose mom pushes her relentlessly to be perfect and a star in the new animated film Leap!. 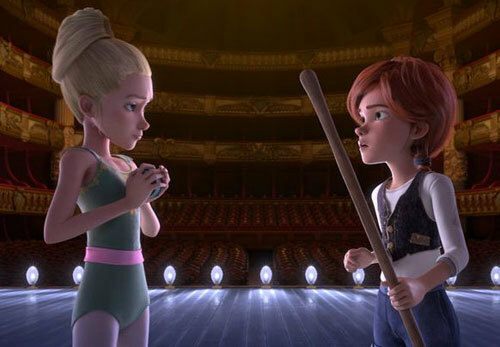 Although Camille’s mom in the film is a slave-driving diva, Maddie’s own mother is very supportive of her love of dance and career. Although she is also acting now, Maddie says that dance is her “safe place”. Check out our interview with this up and coming young star who phoned us from the set of her next film. Kidzworld: Hi Maddie, you turn 15 at the end of September. Any birthday plans yet? Maddie: I think I’ll probably do what I do every year and just have a fun dinner with my friends. I don’t like to do anything elaborate. I think it’s fun to have a little intimate hang out with my closest friends. Kidzworld: When you were on “Dance Moms”, was dancing professionally and acting always your goal? Maddie: Dancing was always my goal. But acting, I never thought that I’d be able to make that a career. I always wanted to be a professional dancer never knowing that I’d also take on acting and do movies. I’m making a movie right now. (We think the working title is “Sister” and it co-stars Kate Hudson but Maddie wasn’t saying). It’s something I never thought would happen. Kidzworld: How are you like Camille and how very different? Maddie: I don’t have many similarities to her. What I do have in common is I’m training all the time and I’m constantly working hard. But, the thing I wouldn’t have in common with Camille is that I’m not influenced by my mom to dance. I actually have the passion to dance and I love it so much and it means the world to me. So that’s different from Camille. 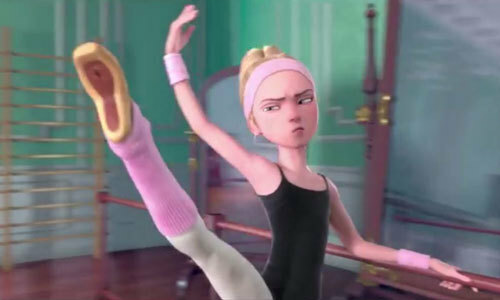 She is pushed by her mother to get that spot (in the dance school) and she doesn’t have the passion for it. Kidzworld: Have you been a victim of a mean girl like Camille and what is your advice for handling them? Maddie: Yeah I have. 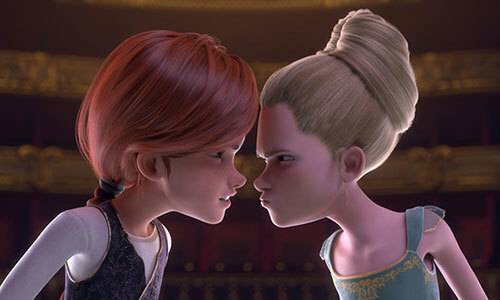 In the dance world there are so many girls who are a little mean, competitive and pushy. I would say the best way to deal with that is have (what they say) go through one ear and out the other because their one opinion shouldn’t mean a lot to you. You should just ignore it and go on and realize how much dance means to you and not listen to their voice saying maybe you’re not as good or you’re never gonna win or something like that. I’ve had girls who think they’re way better than me and have a big head. It’s so important to realize that’s not the case. Don’t listen to that. Be your own person and say “I’ll be the bigger person and not worry about it and just go on with life” and continue working hard. Kidzworld: Great advice! Now for a question that is asked in the movie: “Why do you dance”? Maddie: I dance because it makes me feel joy I’ve never felt before. It makes me feel emotional. I feel every type of emotion (when I dance) and you get to learn from all these amazing choreographers and you get to try out different styles. It’s the best way to deal with my emotions. Whether I’m sad or happy, dance will always let me pour my heart out. It makes me feel so good inside. My safe place is dance. Kidzworld: Are you home-schooled? If you were to plan for college, what would you major in? Maddie: I am home-schooled and I still don’t know what I’d major in if I went to college but I think it would be great to get an education for sure. If I wasn’t acting and dancing, if I were to go to college, I love working with kids so some kind of Child Development education would be great. That would be fun for me. I’m on set right now and was just playing with one of the cameramen’s daughter. Kidzworld: To just get up and dance to for fun, say at a party, who is your fave music artist right now? Maddie: Oh, I love pop music and I love R&B. It’s really fun. I like Rihanna’s music. Hers is my favorite to dance to because it’s relaxed, fun, groovy and chill and her music is a cool, fun way to relax with your friends and still be excited and hyped up about it. Kidzworld: You’ve danced on some pretty big TV shows and in music videos. Which one intimidated you the most? Maddie: I would say probably performing at the Grammys because it’s a really big awards show and I think I was 12 and dancing for Sia while she was singing and I also did a duet with Kristen Wiig. It was intimidating because I was working with two incredible women and I didn’t want to mess it up. Kidzworld: You made your feature film debut in The Book of Henry. What did you learn from doing that film that you will take with you? Maddie: That was my first film. I learned camera angles and the terminology. I would say in general, (I learned that) when I’m acting that it’s very important to listen and respond to the actor that you’re working with and make sure you are listening and learning from them as well. You can always learn something even if you are experienced. You never stop learning. Getting to work with some incredible actors like Naomi Watts, I learned so much from her, even the way she holds herself on camera. Kidzworld: Who is your celebrity crush and why do you like them? Maddie: Zac Efron. He’s not just cute, he’s beautiful! Kidzworld: If you were to go out with a guy, what must he not do on a date or he won’t get another one? Maddie: Coming from entertainment, I think the most annoying thing would be if a guy were to just ask me about the jobs I do, like “What’s it like doing this?” or “What’s this movie about?” That’s fun to talk about once you get to know them but you don’t want them to sound like a fan. I think it would be awful to go out with a boy and realize that he only wants to be with you because of the things you’ve done. Big no no for me. Kidzworld: Okay, we will get the word out there for you. You can see Leap! In theaters now! Have you seem Maddie dance on T.V. or in music videos? Are you a fan? Have you been a victim of mean girls? Let it all out with a comment below!